The Big Sky women’s tournament began in Boise on Monday afternoon. No. 8 Northern Arizona beat No. 9 Sac State to kick off the action. We will have current updates after each game here. One of Montana’s greatest strengths this season turned into its undoing on Monday night in Boise. UM, one of the Big Sky Conference’s most athletic and best rebounding teams thanks in large part to the power of senior post Jace Henderson, could not find loose balls against upstart Southern Utah. Instead, precocious 5-foot-5 junior point guard Rebecca Cardenas hustled her way to 14 rebounds to pace a dominant effort on the glass. Southern Utah ripped down 24 offensive rebounds and earned a 51-37 advantage overall. The sizeable gap on the boards combined with an 11-2 start that the No. 10 seed road the rest of the way helped the Thunderbirds oust one of the Big Sky’s most storied programs 64-56 in the first round of the Big Sky Tournament at CenturyLink Arena. The Thunderbirds won just one game in February and March leading into this week’s tournament. 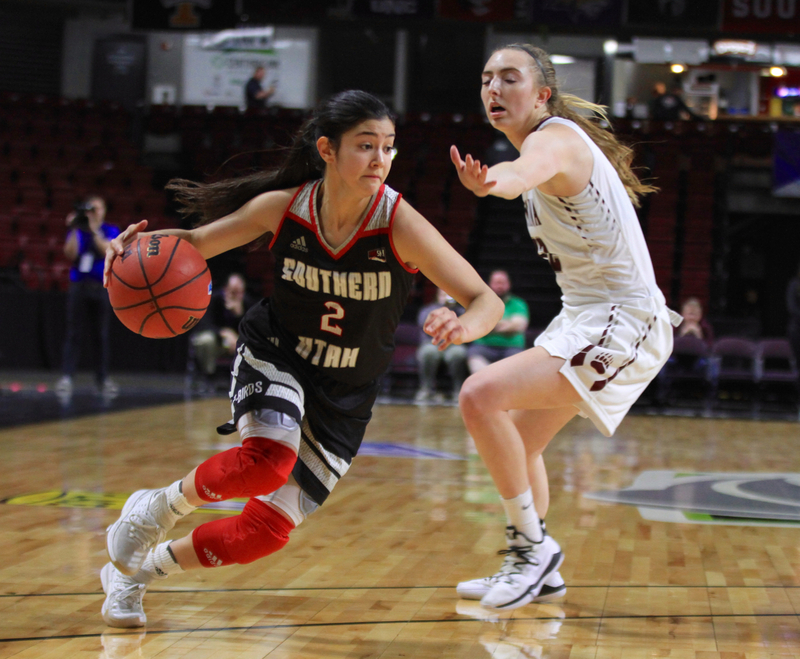 SUU posted a 71-56 victory over the Lady Griz in Cedar City on March 2, marking just the second time in 19 all-time matchups that Southern Utah defeated a team that won the league 23 times between 1983 and 2015. On Monday, the 7-22 Thunderbirds, winners of just four Big Sky games this season, showed the confidence of that win over UM carried over into the postseason. Lady Griz junior Gabi Harrington, a Boise native playing with the flu, hit the first bucket of the game for the Lady Griz. Sparked by six points from Ashley Larsen, SUU responded with an 11-0 run. The Thunderbirds never trailed again. Cardenas, one of the feistiest and most competitive players in the league, hit three second-quarter 3-pointers, each time rubber her hands on her jersey like she was starting a fire with sticks and passionately spurring her teammates on verbally. Her jumper during a 13-point first half helped SUU enter halftime up 33-23. The El Paso, Texas native finished with 18 points and 14 rebounds to lead four SUU payers in double figures scoring. UM cut the lead to five twice in the third quarter but entered the final frame down 50-42. UM sophomore Sammy Fatkin, who led UM with 13 points, scored five straight including an old-fashioned 3-point play that shaved the SUU advantage to 54-50 with 4:19 left. Lady Griz junior point guard McKenzie Johnston’s last bucket with 92 seconds left served as UM’s only field goal over the final four minutes. SUU started the game 3-of-7 from the free throw line but made eight straight the second half of the final quarter to secure Sanders’ first Big Sky Tournament win. Harrington and Lady Griz junior Emma Stockholm have suffered from influenza the last week, Schweyen confirmed after the game. In the first half, Stockholm took a nasty spill and hit her head hard on the court. She did not return to the bench or the rotation. That blow was the latest in a season wrecked by injuries for the third straight season. UM lost shooting guards Maddie Schoening, Taylor Goligoski, and Katie Mayhue all suffered season-ending injuries over the last four months. 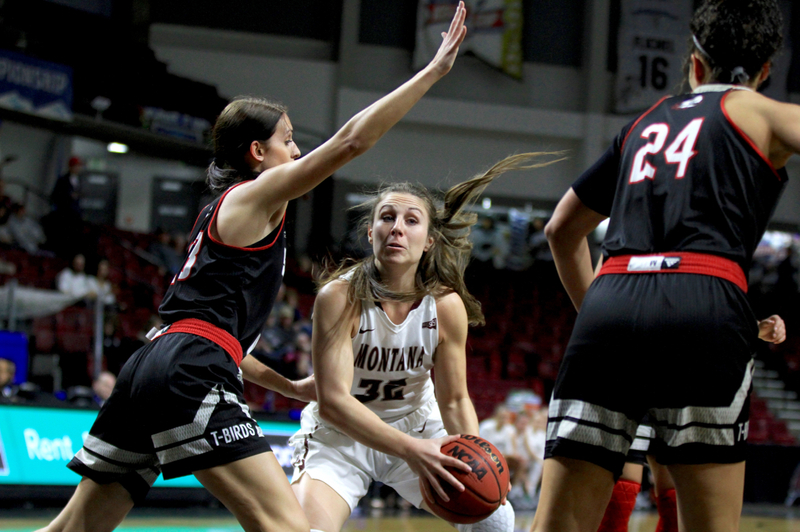 Sophia Stiles, the two-time Montana Gatorade Player of the Year from Malta, Montana, blew out her knee last season and took a redshirt this year. 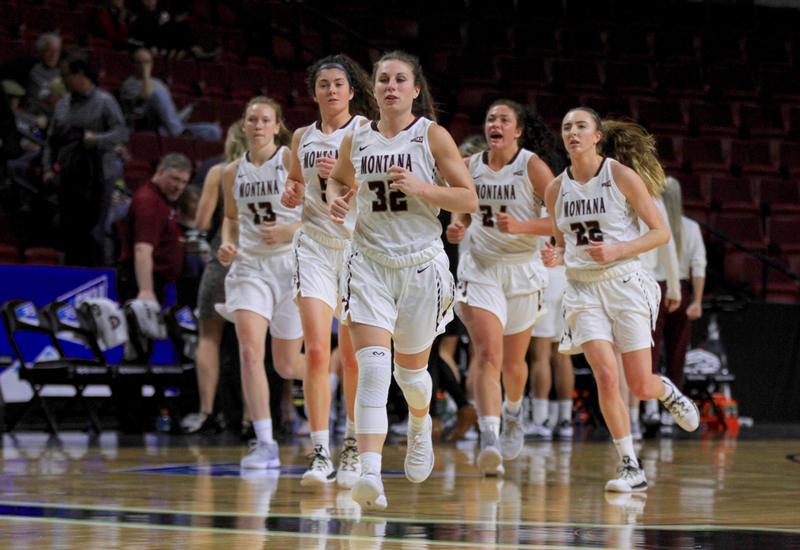 Because of the limited depth, Shannon Schweyen played her true freshman daughter Jordyn Schweyen and true freshman Kylie Frolich, Jordyn’s high school teammate at Missoula Sentinel, down the stretch. Jordyn Schweyen finished 1-of-10 from beyond the arc on a night the Lady Griz shot 3-of-15 from deep. Frolich gave UM perhaps her best boost this season, scoring six points and grabbing six rebounds in 25 minutes. Johnston nearly posted a double-double, finishing with 12 points and nine rebounds in 40 minutes. Henderson, UM’s lone senior, scored 11 points and grabbed 10 rebounds in 38 minutes in her final game as a Lady Griz. Shannon Schweyen’s third season at the helm for her alma mater ends with a 14-16 record overall, including a 3-12 mark away from Missoula. The losing record is the third straight for a program that qualified for 21 NCAA Tournaments under legend head coach Robin Selvig. Larsen scored 13 points and grabbed 10 rebounds for the victors. SUU senior Breanu Reid scored 15 points and grabbed five rebounds to help the Thunderbirds advance to Tuesday’s quarterfinals. Southern Utah will take on No. 2 seed Northern Colorado, the reigning Big Sky Tournament champions. The Hornets provide one of the toughest matchups in the league because of head coach Bunky Harkleroad’s penchant for switching defenses and Sac State’s ability to play fast. It took Northern Arizona three quarters to settle in. 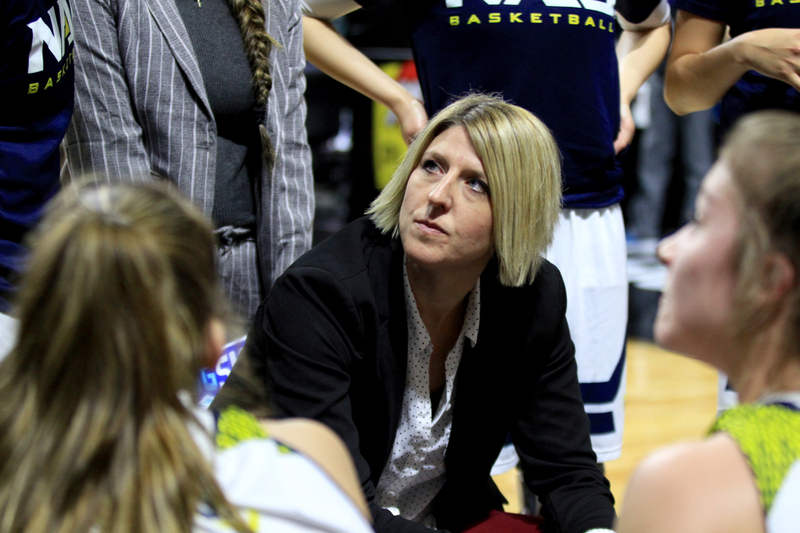 Once they did, the Lumberjacks exploded for a 31-point fourth quarter to pull away for the first Big Sky Tournament win of NAU second-year head coach Loree Payne’s career. “We showed a lot of resilience because that first game, there’s always nerves and adrenaline,” said Payne, a native of Havre, Montana who was an All-Pac 10 guard at Washington in the early 2000s. “I think we showed that a little early on but in the fourth quarter, we settled in and showed a ton of toughness down the stretch. 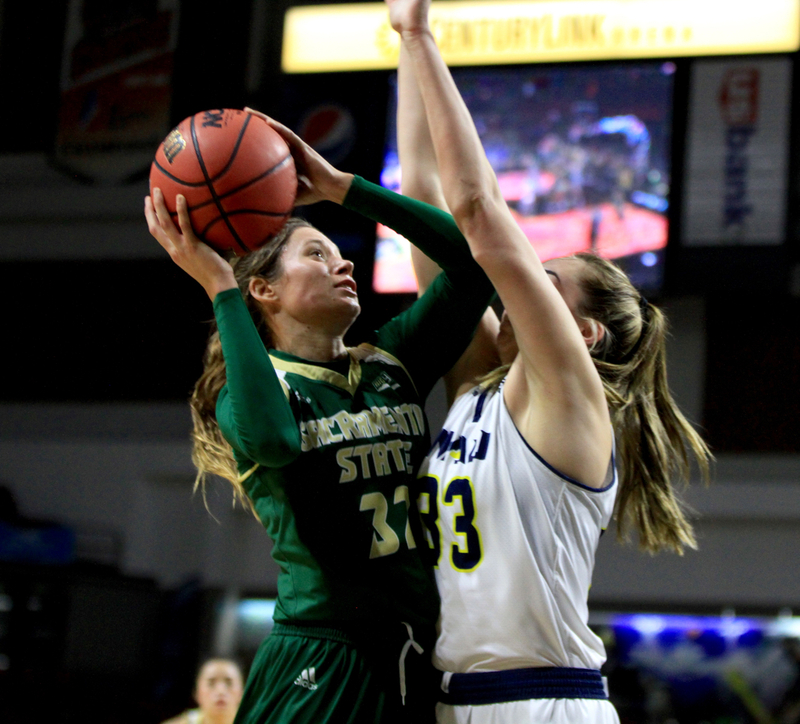 Despite the loss of senior Kayleigh Paplow, a third-team All-Big Sky selection, to a busted right ankle with 6:35 left, the Lumberjacks were able to finish strong. Sac State’s lead swelled to as many as 10 points late in the third quarter before Paplow hit her lone 3-pointer and final bucket. When Paplow went down, she had 11 points and 12 rebounds and the score was tied at 51. Khiarica Rasheed scored five straight points during a 6-0 run that gave NAU a 61-54 lead with 2:42 left. Sac State guard Gabi Bade scored 11 of her 15 points in the final 99 seconds, including hitting a 3-pointer with eight seconds left to shave the gap to 70-66 and another triple six seconds later to cut it to 72-69. But NAU converted 13 of 18 free throws over those final 99 seconds, including four straight by true freshman Regan Schenck to seal the win. Jacey Bailey, a sophomore transfer from Florida Atlantic, scored nine points in each half to finish tied with Rasheed as NAU’s leading scorers with 18 points each. Junior forwards Hannah Friend and Kennedy Nicholas paced the Hornets, who finished their season on a six-game losing streak with a final record of 10-19. Friend, a second-team All-Big Sky selection, scored 18 points and grabbed 12 rebounds. Nicholas, the league’s leading rebounder this season, scored nine points and ripped down 14 boards. Northern Arizona swept Montana State and Montana, then beat defending league champion Northern Colorado in the final game of the regular season. That helped the Lumberjacks creep into the No. 8 spot. Monday’s win gives NAU a shot at top-seeded Idaho in the first game of Tuesday’s quarterfinals at noon. 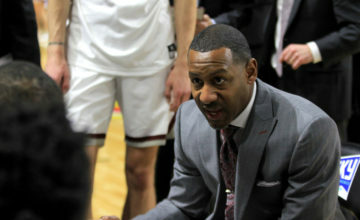 “Changing a culture is hard and for us, really starting to establish in these players to expect to win, not being overly confident but having the mentality that we can win any game we step into, that’s been a process,” Payne said. “That took a little bit to shift that. But we came in today expecting to win. 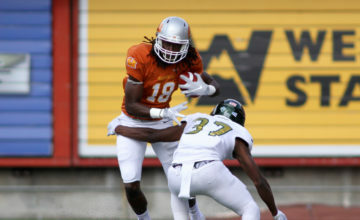 Violet Kapri Morrow saw the All-Big Sky teams released on Monday morning. 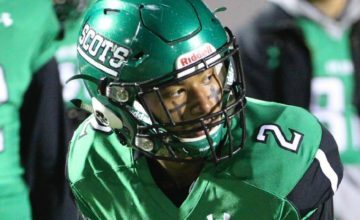 Not earning first-team all-league honors despite averaging 18.6 points per game added more fuel to the fire. Morrow will be the first to say that she’s the biggest fan of watching her teammates hit open shots. During Monday’s nightcap to the first day of the Big Sky Tournament in Boise, Morrow earned a bit of vindication while getting to celebrate her teammates as well. Morrow, a second-team all-conference pick, scored 19 points and grabbed 10 rebounds. 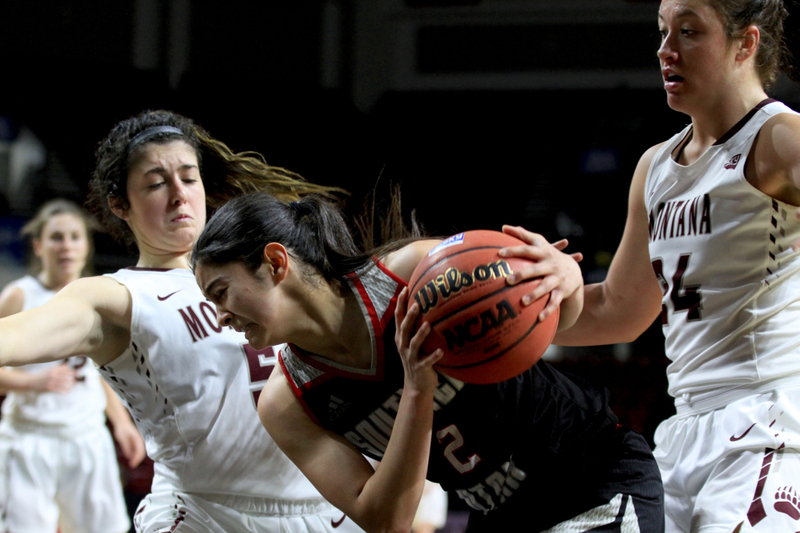 Her jumper with one second left in the third quarter led to an eight-point fourth quarter as Eastern Washington hit five 3-pointers in the final frame that saw the No. 6 seed score 33 points in the fourth quarter in an 81-74 win over 11th-seeded Weber State. EWU true freshman Jessi McDowell-White and Grace Kirscher each hit a pair of fourth-quarter 3-pointers to pace the Eagles’ 3-point barrage. McDowell-White scored a career-high 19 points, including 10 in the fourth quarter. Kirscher added 11 points. The rookie duo combined to shoot 7-of-10 from beyond the arc on a night EWU hit 14 3-pointers in 29 attempts. “It’s so much fun when we are shooting like that and it’s fun anyways; I love playing with these girls,” Morrow said through an infectious laugh. “It’s like a rush. I get excited when any of my teammates score. If you watch the film, I jump up and down down the court I’m so excited. Uriah Howard hit all three of her 3-point tries in a first quarter that saw Eastern hit seven triples and build a 24-21 lead. Behind the inspired play of entertaining senior point guard Jaiamoni Welch-Coleman, perhaps the best ball handler in the Big Sky, Weber State fought throughout despite winning just three of its 20 league games this season. Coleman’s jumper with 46 seconds left in the third quarter gave the tournament’s last seed a 54-46 lead. WSU responded with an 11-0 run. WSU senior Emily Drake, who scored 16 points in her final game as a Wildcat, halted the run briefly. But EWU senior Alissa Sealby hit her second 3-pointer, Kirscher ripped a triple and McDowell-White drilled back-to-back from deep as Eastern buried the Wildcats. 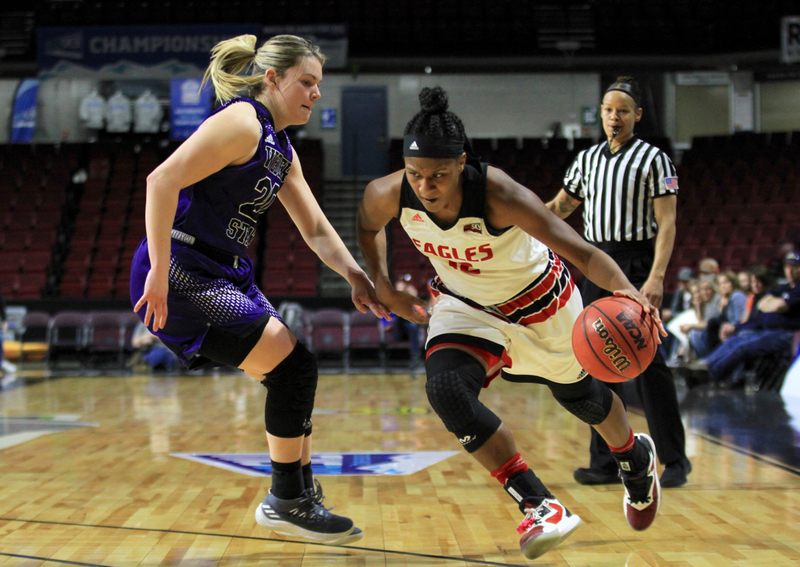 “We were lethargic coming out of halftime and didn’t have a great third quarter so it was great to see us respond the way we did in the fourth,” EWU head coach Wendy Schuller said. “When you shoot the 3 like we did, you are going to win a lot of games. I was proud of our kids for stepping up when we needed to. Welch-Coleman, the Allen Iverson of the Big Sky, scored 21 of her game 30 points in the second half. Despite her 5-foot-3 height, she grabbed nine rebounds and dished out six assists. The Wildcats finished 6-25 in Velaida Harris’ first season as head coach. EWU moved to 12-19 this season with the victory, earning a chance to play No. 3 seed Idaho State in the quarterfinals Thursday at 8 p.m. ISU won 63-48 at EWU and defeated Eastern 74-45 last week in Pocatello, Idaho.